Buy two and get one in LifeStyle from 9th June to 11th June 2017. 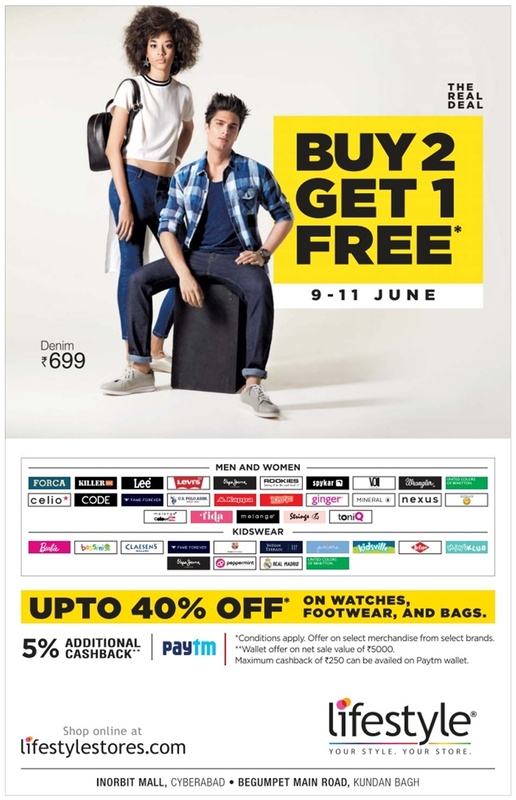 Up to 40% off on watches, footwear and Bags. 5% Additional cash back on Paytm.